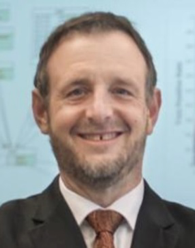 Dr. Andy Novobilski joined the University of North Georgia as its first Chief Research Officer in January of 2015. As CRO, he provides leadership and service for both faculty and student research and leadership development, community and academic engagement, Economic Development, and Professional and Continuing Education. Prior to obtaining his PhD in Computer Engineering and starting his academic career in 2000, Dr. Novobilski spent 20 years in industry. Part of his industry experience included 10 years as a successful entrepreneur, growing a software design and development firm from his basement to $900K/year revenue. He and his wife Mary currently live in Dahlonega, GA.